Adam is a rich industrialist, who aspires to a more cultured world. Spurred on by playful jibes that he is little more than a city suit living the capitalist's dream, this frustrated amateur opera singer decides to throw an opera in his lavish country retreat. Once his friends see him belting out the notes, he feels sure it will spell the end to their shallow taunts. In fact, it might even help him win the hand of a female conductor he has been pursuing whom - it just so happens - is the first to be recruited for his showpiece. Taglines: Music, Laughter and Romance. 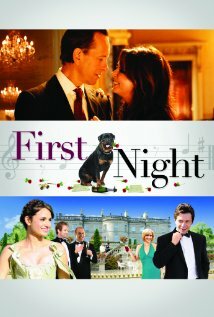 This is a movie that is engaging from the first scene taking you in to the world of opera with a group (led by the very entertaining Richard E. Grant who fancies an open air concert at his lavish estate)rehearsing Mozart's Così Fan Tutte and life imitating art with amusing consequences. The casting was faultless, the music wonderful and the synced operatic voices seamless. If there was one fault it would be that the movie was too short. You do not need knowledge of opera to appreciate this movie as the on screen action speaks an international language that will have you laughing out loud at the antics on screen. I saw this movie at a preview at Kings Place in London where the conditions were not ideal for a cinematic experience but once the light went down I was entranced. I am looking forward to its cinema release sometime this September 2011 and to its release on Blu-Ray as I could watch and listen to this movie several times. The viewing I was at was followed by a a talk by Stephen Evans who explained how the late john Mortimer was instrumental in choosing the opera for the film but sadly passed on prior to the movie been made. In a Q&A he was enlightening in the way films are conceived and brought to the screen so in his words ' this is a bit of a laugh with a bit of sizzle'. To further explain the plot would be to spoil the experience. WATCH & ENJOY.